Having a train set as a kid is a pretty special thing. I never had one, so getting my first one that was also LEGO was brilliant. 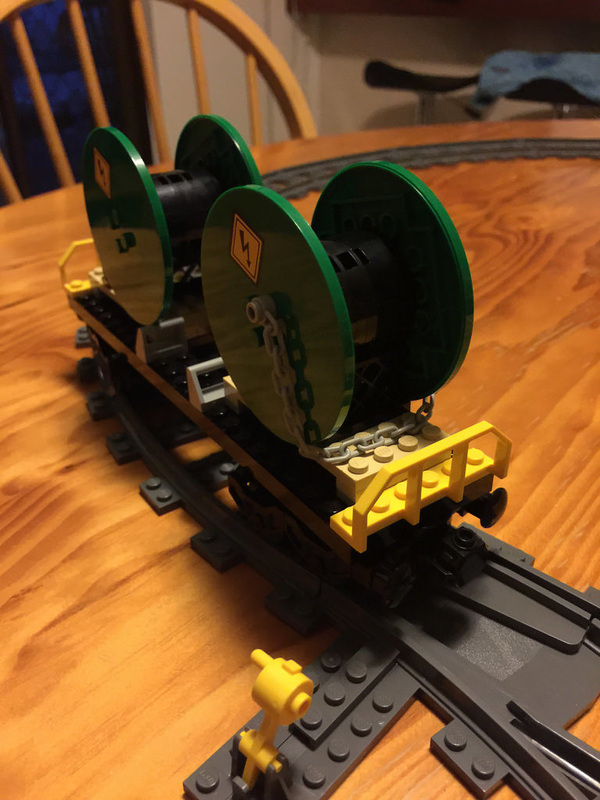 This set is a kind of successor to 7939: Cargo Train back in 2010, and it’s a pretty big improvement. 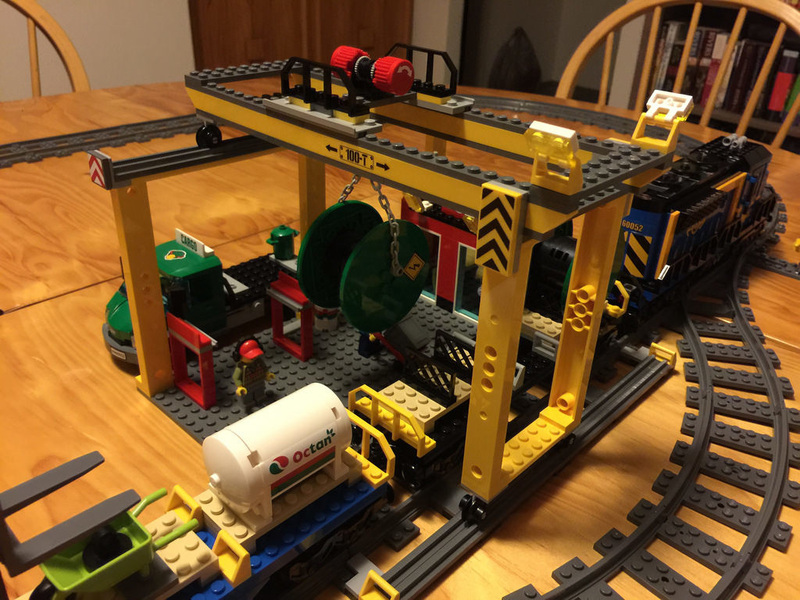 There’s a fair bit in it, with a full circuit, cattle carriage, and two cargo carriages, as well as a sliding overhead crane and cargo truck. The motorised parts are pretty great too. 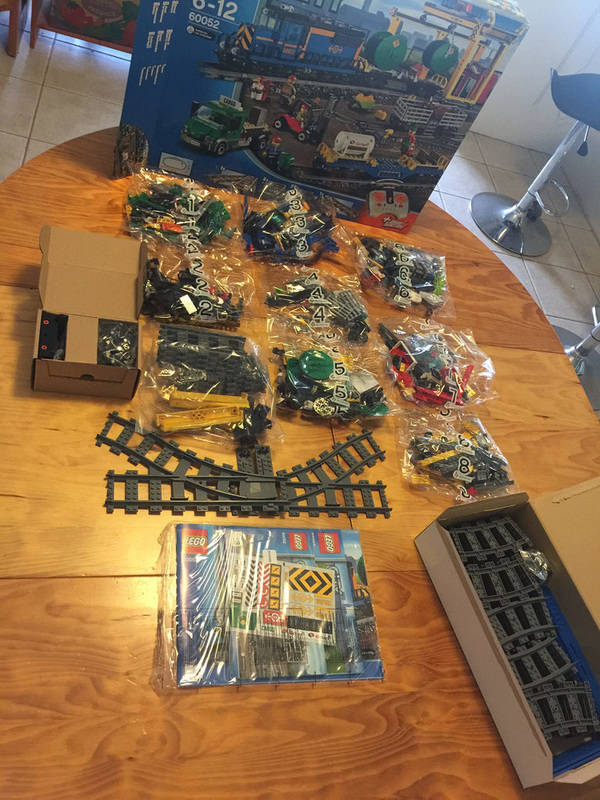 The very large box contains eight parts bags, one bag of tracks and yellow uprights, a controller box, a box of tracks and carriage beds, five manuals, and a sticker sheet with a whopping 32 stickers! 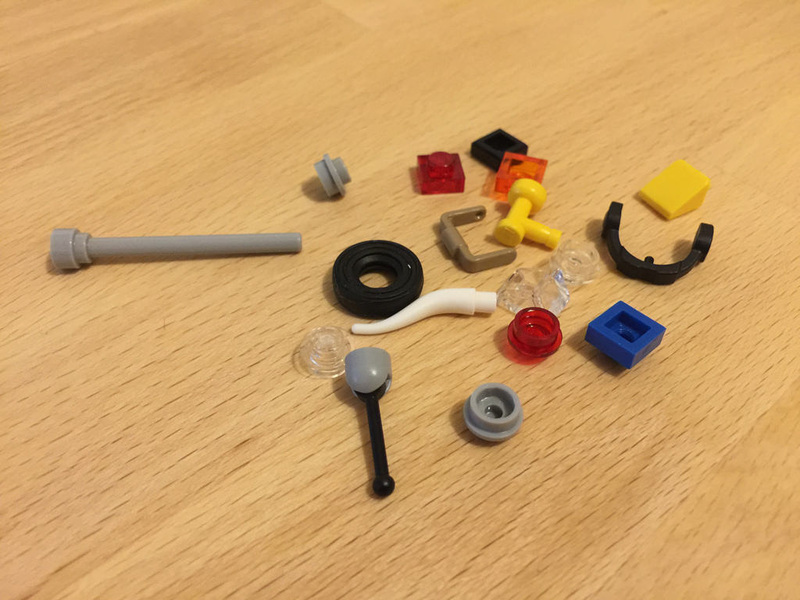 This set comes with a lot of great parts, some of which are new. Much of the diesel locomotive is made up of parts in new colours, including the doors, side walls, front windscreen, and crane uprights. There are so many great parts in this set, it’s hard to mention them all. Some of my favourites are the chassis beds in blue and black, a cow (I’m a big fan of getting LEGO animals), the left and right switch tracks, four of the circular plates with four studs, 13 black and four yellow hand rails, a pannier (as the cow’s feed bucket), and six lattice that form the cow’s carriage, among others. 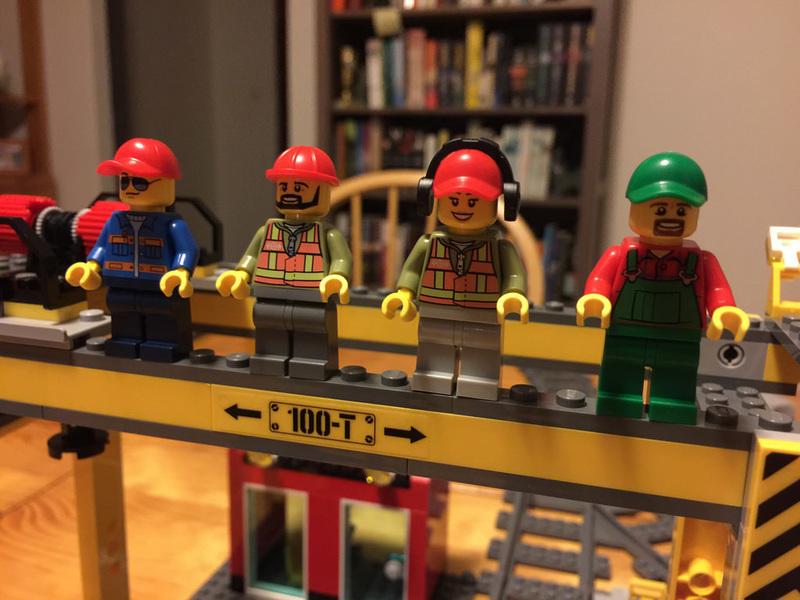 The four minifigures included in this set are nicely detailed. My favourite in particular is the farmer, but the other three (forklift driver, train driver and truck driver) are nicely printed also, especially as the forklift driver is a female. It’s always good having female blue collar workers in a set. All but the truck driver have back printing, and all have headwear of sorts. The spares in this set are pretty great. I got a spare cow horn, headset, bucket handle, D8 size tyre, and a whole bunch of the regulars. Let’s go through this bag by bag. Bag one gets you building the cargo truck, and a couple of rubbish bins. 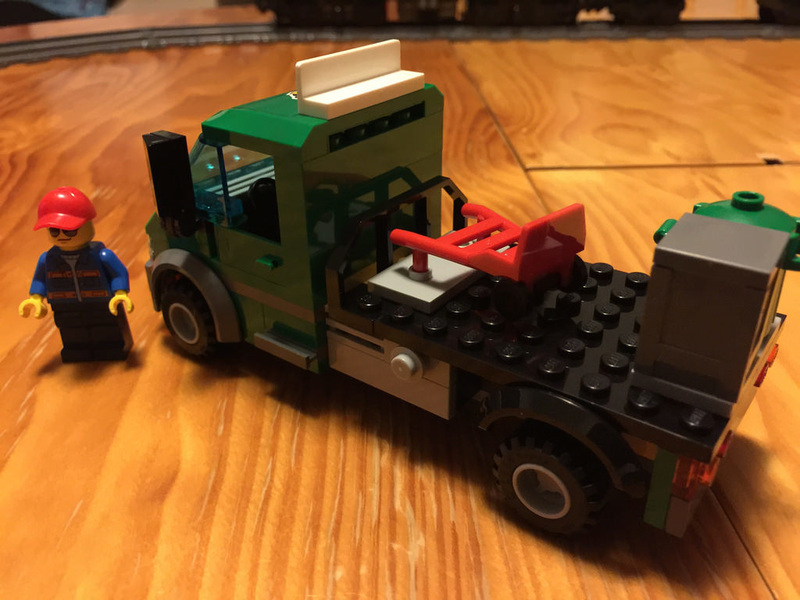 It’s a pretty straight forward vehicle build, complete with the big stack of stickers. Bag two starts you on the diesel locomotive. It’s pretty great, but it’s important to find the batteries first! If you aren’t prepared, 9 AAA batteries can be tricky to source at short notice. 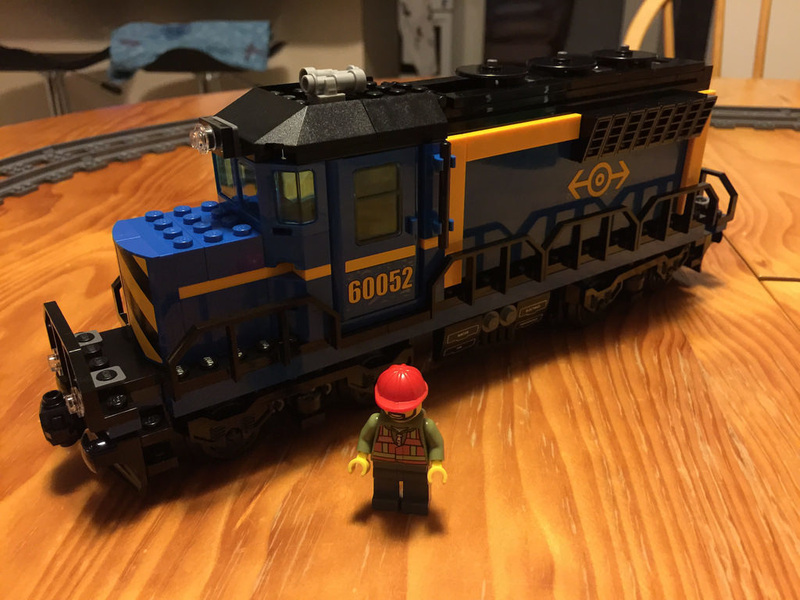 The build itself is only the bottom half of the train, but it’s pretty great, especially if it’s your first LEGO train. Bag three finishes off the engine. I’m really happy how easy it is to get access to the battery pack and remote receiver. The engine itself looks amazing – exactly like it’s real world counterpart. I’m extremely happy with it. The horns at the top look brilliant, and I love the lights at the front. The way the power switch was done is really clever and very neat and unobtrusive. Bag four contains the parts for the cattle cart. I love the set up of this carriage, with the pile of hay and feeding stuff. 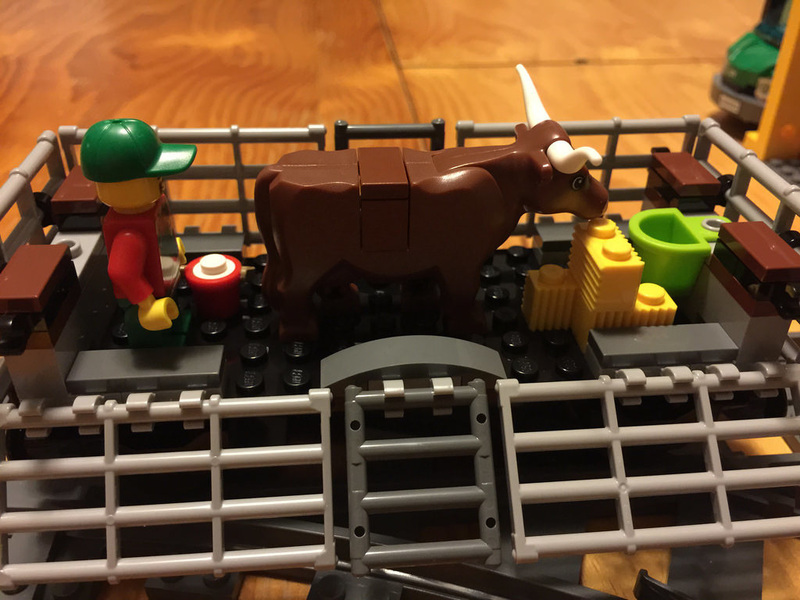 I’m not sure how the cow got up there, but it is a great little detail, especially for kids! It is a little dangerous for the farmer though, riding with the cow – maybe he goes with the cargo truck? Bag five is for the electric wire spools. It’s a very simple carriage, but one with the most playability in my opinion. It would have been great to have something on the spools, but then the cradles would have had to be modified. It’s a shame that there is only one chain, but I’ve since added it on myself. Bag six is the final cargo carriage – the forklift, Octan tank and wheelbarrow. I really like the way the tank was created! It’s brilliant! I like that the forklift is part of the cargo, but the wheelbarrow is a bit of a cop out! 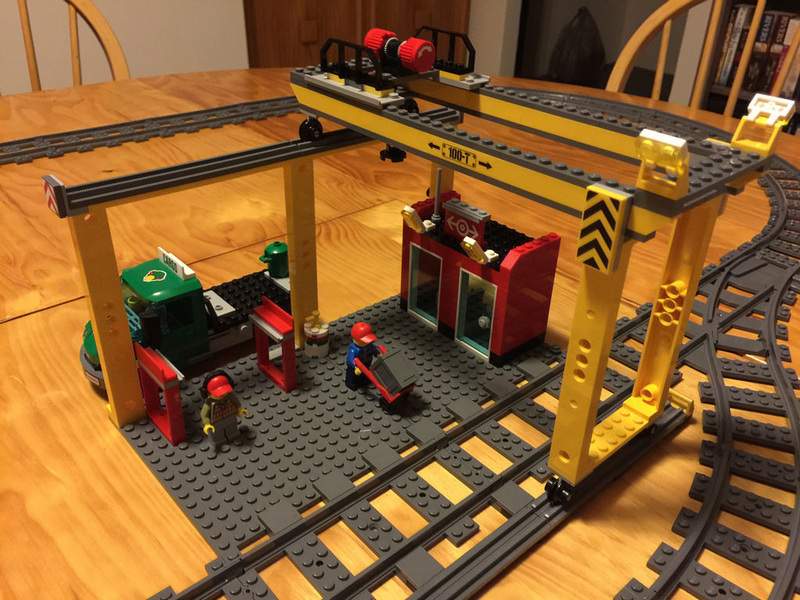 Bag seven contains parts for the beginnings of the cargo station, essentially a small room, a wide open loading dock and the overhead track for the crane. It’s simple, but effective. Finally, in bag eight, is the overhead crane assembly. It’s a very simple design, but extremely effective! The motion is smooth, and it’s fun. It took me a while to figure out, but the red frames on the left of the station are for cargo storage. 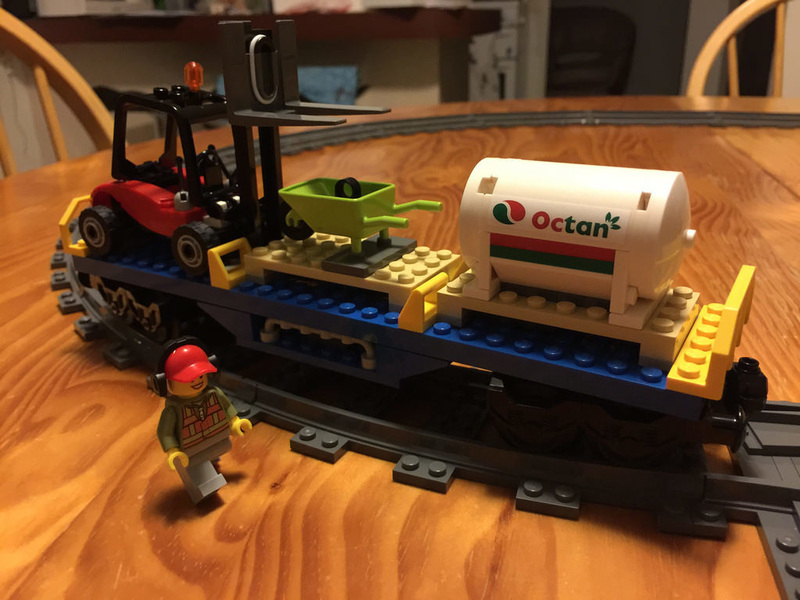 I placed a piece of cargo on it, and when the train comes past, it falls off after a while – even the LEGO trains have a bit of a rumble with them! The tracks can be set up in such away that there’s a diversion so the train can go around the station. I couldn’t help myself, so I diverted the train around the station, cranked the speed right up and waited to see what happens. It’s a pretty quick train, so of course, it did go off the rails after a couple of laps. I laughed like an idiot, and did it again. Playability is still important for adults! Time for a rating! This set gets 9 out of 10. It’s brilliant fun for all ages – endless hours playing with it. There’s a lot to look at, plenty of great parts, and it’s big when it is all set up, as well as having a full track circuit and multi channel remote control. It gets let down in a couple of very minor areas – lots of stickers, some strange details in the cargo, and a very simple cargo station. 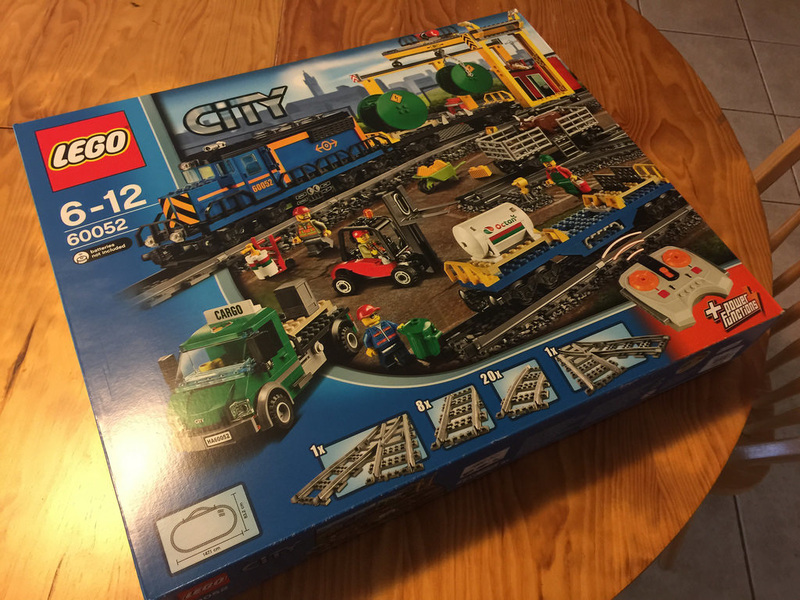 Next on the review list is the last set for the Construction subtheme – 60075: Excavator and Truck.